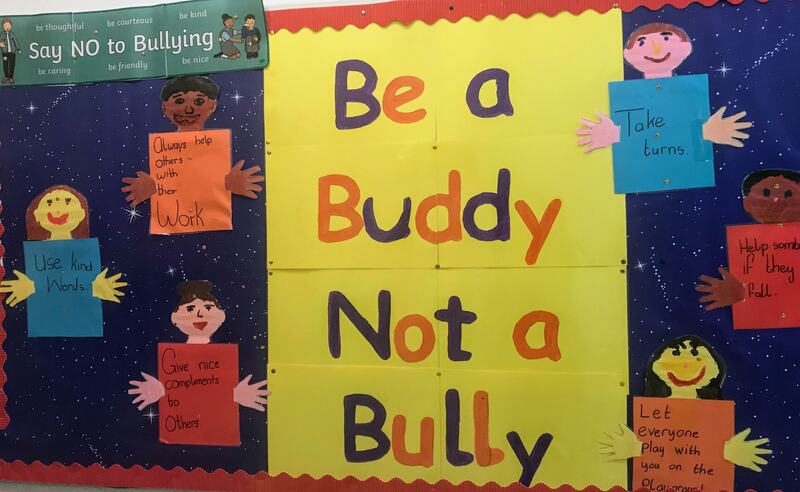 Anti-Bullying week was a very positive experience for all of the children in St. Mary’s N.S. Each class took part in many lessons, where they enjoyed role-play activities, art activities, songs, stories and group work. 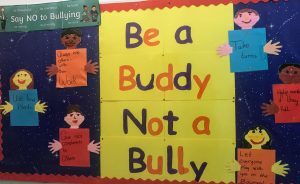 The children learned about friendship and the meaning of bullying. They learned about the importance of reporting bullying and the ways to deal with it. The children of our school know the about the wonderful ways we can promote a happy and safe environment for everyone.